It may feel like summer, but summer is over! Every year I try to ignore my favorite season’s untimely ending and hold on to the summer vibes for as long as I can but with the leaves getting crispier, the shifting season is hard to overlook. 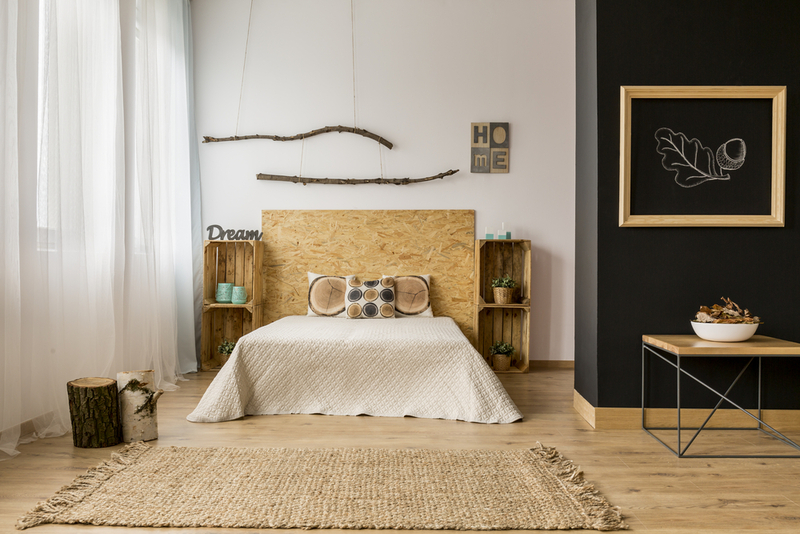 So instead of ignoring the arrival of fall, why not embrace it with a bedroom makeover? It is not practical or feasible to completely renovate your home every time the season changes. Besides, who wants to go through all of that trouble anyway? Thankfully, it doesn’t have to be a huge ordeal; no hardhat necessary. Even with limited free-time and money, I fondly remember my mom swapping out our pillowcases, tablecloth and centrepieces each season in our old home. They were small changes but they always made a big impact, at least to me. I have only been in my new home for a few months and I’m still settling in. But now that we’re getting closer to fall, I’m looking forward to incorporating some fun, easy changes into my bedroom to make my reluctant transition into shorter days, darker evenings and colder nights a little bit easier. In the interest of keeping things as simple as possible, I’m centring my bedroom makeover on 3 elements: colour, texture, and scent. Starting with those elements, I am going to try to capture all of the fall feels with as little money and effort as possible. When I say that I am focusing on colour as a design element, I don’t intend on mimicking the colours of the leaves. Auburn, burgundy and mustard are striking but I feel that they have become cliché fall hues. Instead, I’m going to start with grey because it offers some contrast to the warm shades outside. 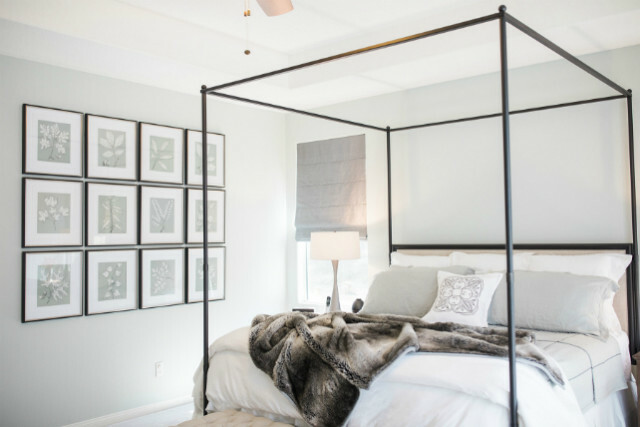 I look forward to swapping out my bright, bold summer sheets and incorporating varying shades of grey into my bedroom with a new duvet cover, fresh curtains, and possibly a new lampshade. For contrast, I can set the cool tones against warm metals like brass and rose gold using picture frames, paperweights, and desktop decorations. Once summer is over, my main objective becomes staying warm (can you tell that I don’t enjoy winter?). With that, I want to make sure that my bedroom is decked out in faux furs and chunky knits as soon as possible. I used to prefer a uniform approach to textures but this fall I am looking forward to trying a more eclectic aesthetic in my bedroom. One texture that I will be keeping in my room post-summer is silk. All of my friends comment on how retro my silk sheets are but beyond the ‘90s vibes, they are both comfortable and practical. Silk sheets can regulate your body temperature while you sleep and preserve heat as the weather gets colder. No fireplace? No problem. I like to bring the best parts of the season inside with candles! 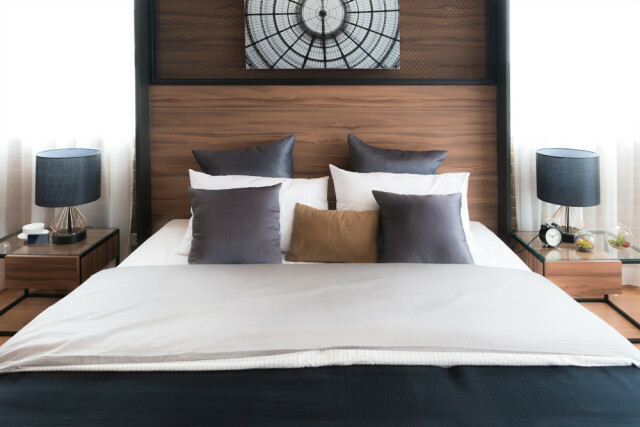 A candle can amp up your bedroom’s seasonal appeal by emulating the outdoor scents of your choosing, whether you want your room to smell like burning ember or fallen leaves. 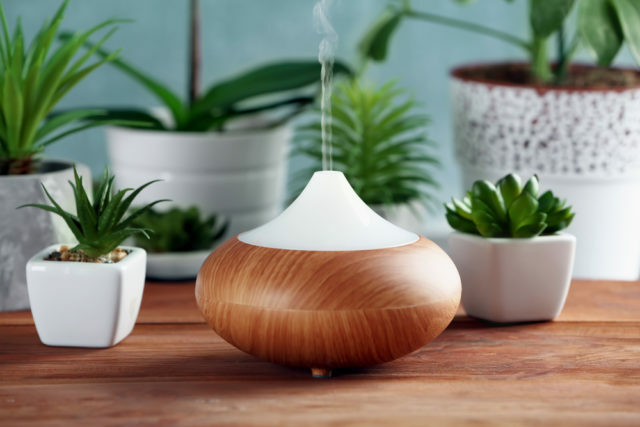 If you’re in a dorm with candle restrictions or you’re apprehensive about having flames around children or pets, an oil diffuser is a great way to introduce pleasant aromas to your room via essential oils. Enjoy the last of this summer heat and good luck with your fall bedroom makeover!